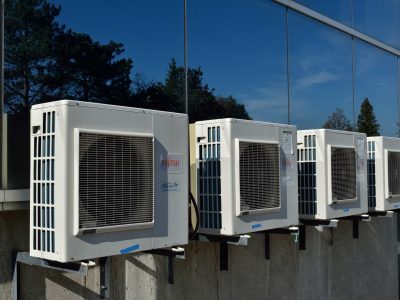 Variable Refrigerant Flow Systems were invented in Japan in 1982. VRF Systems use subcooled liquid or superheated vapor state to heat and cool spaces through refrigerant piping. 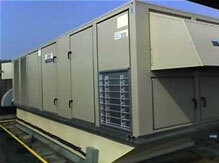 The system’s main equipment is an outdoor compressor unit and multiple indoor fan coil units. The compressors on this system are typically roof mounted and can either be air or water-cooled units. 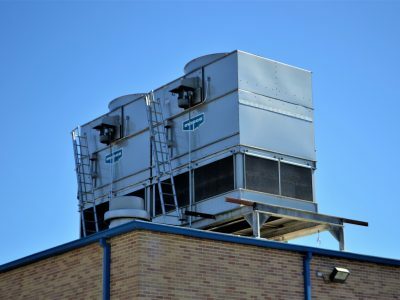 With water cooled systems, these compressor units will be connected to a boiler and cooling tower. Using a variable speed drive for control, the compressor units use variable refrigerant flow to heat and cool spaces. The indoor fan coil units can be used in many different capacities and in many different configurations. They can be mounted directly into a space and this can be done in the ceiling, on the wall or in the floor. The fan coil units can be mounted directly in the space with a variety of configurations in the ceiling, walls or at the floor level. The fan coil units can also be hidden above the ceiling or other locations, near, but not in, the conditioned space. There is no central air system with ductwork to provide the primary conditioning of the spaces, but there may be a smaller system to provide outside air.